UK Alpaca specialises in British alpaca yarns with full provenance. All the fleece we use comes from alpacas farmed in Britain and Ireland. We want to buy as much fleece as possible as happily demand is greater than supply. £12 a kilo for white baby grade skirted fleeces. £10 a kilo for white baby grade un-skirted fleeces. £8 a kilo for white fine grade skirted fleeces. £6 a kilo for white fine grade un-skirted fleeces. £8 a kilo for coloured baby grade skirted fleeces. £6 a kilo for coloured baby grade un-skirted fleeces. £5 a kilo for coloured fine grade skirted fleeces. £3 a kilo for coloured fine grade un-skirted fleeces. 0.45p a kilo for all your skirtings, short neck, coarse fibre and shearing waste which should be bagged together according to colour. We are not able to take in fleeces that have been in storage longer than two years. That is, only the current year and the preceding year are acceptable. Our experience tells us that moths really like alpaca fleeces, more so than wool, and that fleeces older than this are likely to have been got at. FLEECES NOT IN CLEAR PLASTIC BAGS WILL BE REJECTED. This makes for easier handling and colour sorting prior to classing. Paper based sacks and non transparent plastic based bags (such as used feed bags) cannot be accepted. We do our best to keep each farm’s fleece bags separated and tagged in bulk bags, prior to classing, however sometimes confusions arises, especially after bulk collections by our own transport. Please mark each bag with the name used on the booking-in form, either on the bag or with a slip of paper inside the bag. DELIVERY: Fleeces can be delivered into our farm in Tiverton or dropped off at one of our collection points in the UK. Please ensure you complete our fleece Drop-Off Form at the drop off point, and retain your copy for reference. We buy Huacaya fleece in all colours. Multicoloured fleeces other than grey will go to outsorts. Please contact us regarding suri fleeces. We will generally have a good stock of used clear plastic bags which can be turned inside out and reused. Please contact us if you would like some. These are offered free of charge, excluding carriage at cost. This will ensure improved efficiency, classing times and accuracy of results. Thank you. We buy huacaya fleece in all colours apart from multicoloured animals. The fleece should be dry and free of moth infestation. We grade into baby which as a guide is likely to be 22/21 micron and under and fine which as a guide is likely to be 22 to 26 micron. All grading is done by hand and by handle and it is the feel of the fleece that will determine its grade. The fleece length needs to be a minimum of three inches. This is a requirement of the worsted spinning process. Short and coarse fleeces, short neck, shearing waste and skirtings can be used and should be bagged together by colour. We require the blanket fleece to be presented in clear plastic bags with the neck bagged separately and the bags labelled clearly with your name and address. As we grade in colour order it is much easier for us to group the bags in a particular colour if the bag is see-through. The fleece does not need to have every scrap of vegetable matter removed. However we would be very grateful if large bits of straw or poo could end up in your waste bin or any other foreign objects. Notable finds in fleece include a set of keys, a mummified mouse, a bar of coal tar soap and a large brass picture hook. It saves us a great deal of time if the fleece has already been skirted but we are happy to buy unskirted fleeces. Unskirted fleeces just attract a slightly lower price. Skirting is best done at shearing on a table with a wire grid. The aim is to produce a consistent fleece with the obviously coarser or dirty parts of the fleece around the edge removed and any second cuts and excessive dust shaken out. Neck fibre from younger animals is normally of high quality and should be bagged separately. If older animals have neck fibre that is three inches or longer and a suitable grade, that should be bagged separately rather than going into waste. Shearing is sometimes a lost opportunity to make money from your fleece. It is crucial to keep the shearing area clear of contamination. We see many fleeces with second cuts and waste in them from a different coloured fleece. This sort of contamination is an absolute ‘no no’ for fibre processing and is easily avoidable. Please make sure you start with your white animals, then fawn, brown, grey, black and clean the shearing mat after each animal, making sure the shearing area is even cleaner when you move on to the next colour. Second cuts should be avoided. Your shearer should take the blanket off first with single blows and not go back to tidy up the alpaca until the blanket is off. If you shake the fleece and find yourself in a snowstorm, speak to the shearer. Fleece is received into our facilities in Devon for the grading process. Each farm is graded individually and the results recorded on a grading sheet. Once all fleeces for this farm have been graded a grading report is sent to the owner detailing the yield and prices achieved. The owner is then asked to raise an invoice to UK Alpaca Ltd for the amounts detailed on the grading report, and adding VAT if appropriate. Funds are generally transferred to the owner within 60 days of receiving the invoice. 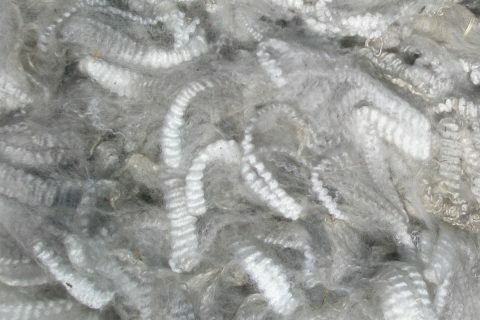 Those wishing to buy back finished yarns can do so on an account basis, with final amounts being due either way, settled upon completion of their fleece grading. We have a number of collection centres for 2019 or you can deliver your fleece to us at Vulscombe Farm in Devon. If you wish to send please roll the fleeces up tightly in plastic bags and then pack in carton(s). If you advise us the number, size and weight we can arrange collection via courier. Alternatively we may be passing close by on one of our collection centre runs. If you advise your location and post code we can let you know. if this might be possible. UK Alpaca specialises in British alpaca yarns with full provenance. Our natural and dyed fully worsted yarns are processed in the traditional mills in the North of England. The aim is to maintain our reputation for top quality British alpaca yarns. We sell wholesale to knitwear designers, sock makers, weavers, hand dyers, retail shops and our yarns are also sold by the major online knitting websites. UK Alpaca is at all the major yarn shows promoting British alpaca. UK Alpaca was set up by Chas Brooke and Rachel Hebditch. We support British alpaca farmers by buying around ten tons of fleece a year which is hand graded on farm for colour and fineness. 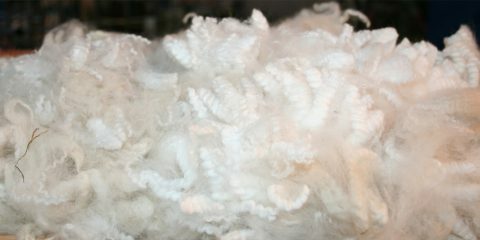 The large quantities of fleece processed mean prices are competitive with South American imported yarns. UK Alpaca’s range of yarns is available for wholesale and retail customers on cone and in balls for next day shipment. Alpaca breeders who sell their fleece to us can buy back yarns at wholesale prices with no minimum order.